Do Air Filters Keep My House Clean? Forquer Heating & Air Conditioning has partnered with Virteom to engage our customers and users in our heating and air conditioning services and the technology behind the scenes. In this video, Jacqui and Jim Sr. discuss air filters and keeping your house dust free. Watch or read the transcription below! Do Air Filters Really Keep My House Clean? Air filters don't clean your house — that's a common misconception, but they will clean up anything that's airborne. What is the most efficient way to filter out dust in my home? The first piece you need to keep the air in your home breathable is a good air filter. We favor a good pleated four-inch filter (pictured right) when it comes to air filters because you don’t have to clean it; these air filters can be thrown away every 3-6 months depending on how dirty they get, and then you just keep replacing them. 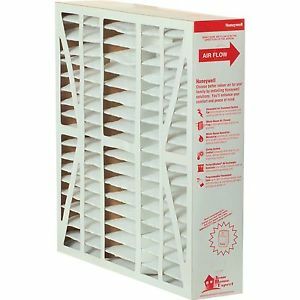 You always want to keep a clean filter in an effort to keep dust out of the air you’re breathing. By changing your air filter every 3-6 months, you’re offering your furnace a clean surface to filter dirt on. The second, is your furnace. When it comes to filtration and furnaces, our recommendation is to go with a variable drive furnace. 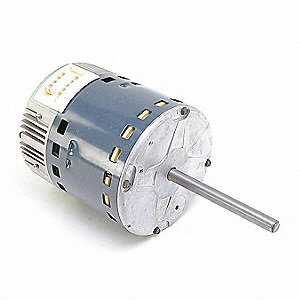 You can see (pictured right) a variable dry motor. Variable drive motors were built for the heating and air conditioning industry for the exact purpose of keeping the air you’re breathing clean. With these, we’re able run the fan continuously at a very low electrical usage and a very low velocity. It's efficient and quiet. Back in the old days, the motors used to be inefficient and loud. With the variable drive motor, we’re able to slow down to a very low air movement through the filter, but the air is being filtered 24/7. We're filtering out the fine particulate that's airborne and this will help you breathe easier. What’s great about the variable drive furnace is that it filters the air 24/7. If you don’t have a variable drive set-up, your filtration system is only active when the blower is running. If you're not running your fan continuously, because you don't have a variable drive type setup, you're not filtering the air for hours. The air is only filtering when you have a call for heating or cooling. During the off cycles, you’re filtering nothing. By installing a variable drive, we’re able to run at very low air volume 24 hours a day. That means we're filtering dirt out 24 hours a day seven days a week. That's really powerful. If you experience any issues with your home’s air filter or air filtration system, Forquer Heating & Air Conditioning is who you want to get your house feeling breathable again!